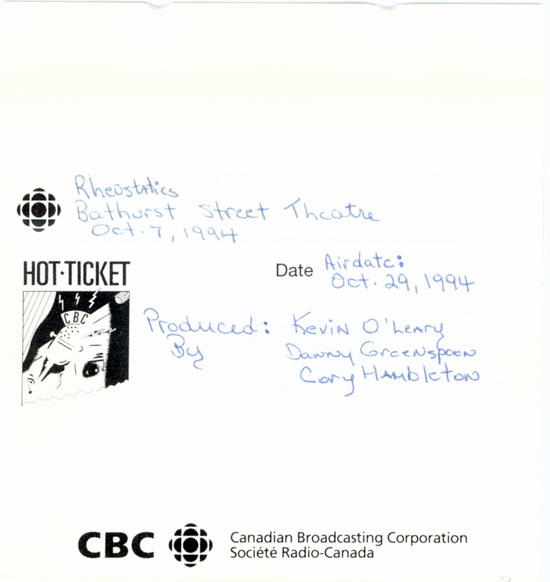 This is the original CBC Hot Ticket broadcast of the Bathurst Street Theatre October 7 1994 show. This version has excellent professional quality sound but is a truncated 14 song version of the show with songs taken out of order. Full Audience recording of the 36 song set can be found here.